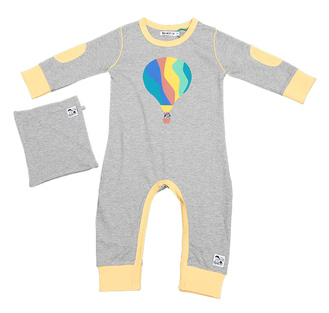 Doodle Do are the inventors of fun and imaginative unisex clothes which are 100% organic. Their latest range takes the kids where they’ve never been before. Up up and away into the skies above! The clothes are designed by the help of kids for kids – who imagine crabs can fly, whisper their secrets to dogs and believe everything is possible. Doodle do looks through the windows of children, observing their interpretations and their relentless imaginations whilst encouraging a return to non-gender clothing in organic fabrics. Doodle do appreciates and loves nature and our surroundings. They want to encourage our creative little doodlers and their parents to be aware and protect nature. GOTS (Global Organic Textile Standard) is an international certification for organic garments. GOTS ensure that the organic certifier evaluates all phases of production which would mean every aspect of this product from farming and harvesting of cotton to manufacturing and branding. Fun and imagination is at the heart of their collections, whilst the logic in fabric is the cherry on the cake.